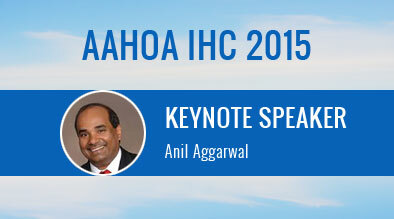 Keynote Address: Driving Revenue & Bookings for Independent Hotels. Time: 2:00pm-10:00pm Wed. — 7:30am-4:00pm Thurs. The Digital Marketing landscape is constantly evolving with updates from search engines, algorithm changes, web technology enhancements, mobile usability requirements and consumer trends. Hoteliers have no choice but to keep up with the evolving trends in order to stay ahead of competition. Come hear our CEO Anil Aggarwal deliver a speech about the latest consumer behavior and digital marketing trends. Learn how to use internet marketing to drive increased traffic and leads to meet your revenue goals. Key Takeaway: Stay ahead in the digital landscape, know the key trends, get advice from the industry’s finest. Home Hotel Digital marketing Snapshot & How to Budget for 2016 [Webinar Recap]	Google’s new tool ‘RankBrain’ Helps Milestone Customers Get More Bang for their SEO Buck.